At Charter Oaks Tree & Landscaping Service, we know that taking care of your landscape not only beautifies your surroundings, but it makes your property safer, adds value and saves energy. You can prolong the life of your trees, and increase the benefits of a healthy landscape with proper care. We offer a full line of arboricultural and landscaping services. As an A+ Rated member of the Columbus BBB we put customer service and quality at the top of our list. Most of our business is repeat customers and their referrals. You’ll receive the same high-quality work regardless of the project/property size! 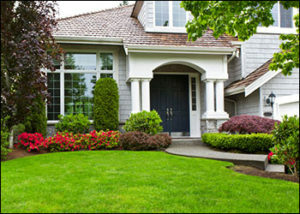 Our landscaping successes are attributed to fair and affordable pricing for your property’s specific needs. Very few landscape companies also have a certified arborist on staff. We can fully landscape your property and design the needed tree scape to make your project complete. We create unique landscaping that is designed to fit your budget. Our arborists are tree-planting experts and can recommend what types of trees are appropriate for a specific location. The wrong tree in the wrong location could lead to future problems due to limited growing space, insects, diseases, or poor growth. Also Offering Commercial Client Maintenance! Charter Oaks is happy to serve commercial clients and/or partner with your business to best deliver to your clients. Call 614-848-6466 to inquire more about partnering with us to achieve the best-quality work for any type of property.